Start your visit in our Welcome Centre & Gift Shop and find out all about the site, before taking a walk on the wild side and exploring 60 acres of park and woodland. There’s room to roam and rooms to roam inside and outside at this picturesque piece of Pembrokeshire. Turn back the clock to the Victorian era and experience country life ‘above and below stairs’ over three floors of the Manor House. 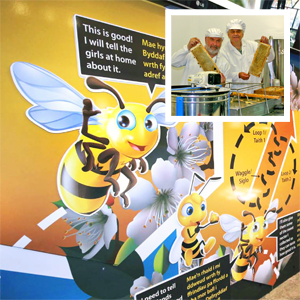 Canter back through time at the Stable Block, and experience the hive of activity that is the Pembrokeshire Beekeeping Centre and Honey Kitchen. Discover our lovely Edie’s Tea Room and take time out to relax in the timeless tranquillity of Scolton; the place where the past meets the present. 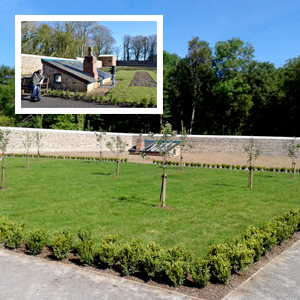 Dig in to history and see for yourself the Walled Garden being brought back to life. Discover a day with a difference at Scolton Manor! Find out more. It’s always playtime at Scolton Manor! 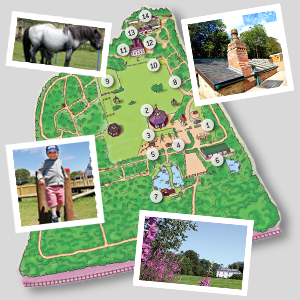 Check out our fun-themed children’s play areas! Discover a range of exciting events happening throughout the year! Find out more details of what’s on.